Obsidian Hopes "Digital Distribution Stabs the Used Game Market in the Heart"
Obsidian Entertainment co-founder Chris Avellone really, really hates the used game market. He hates it so much he hopes it gets stabbed in the heart. Harsh. In the same interview in which he claimed modern RPG advances were undermining the genre, Avellone also took a pot-shot at the used game market. When asked how he felt about digital distribution services such as Steam, GoG and Origin, Avellone was initially all sunflowers and rainbows. "I love digital distribution," he said. "For one thing, being environmentally conscious, I really appreciate that we're not making more boxes and shipping them and creating all that waste. It's better just to download the game through Steam and not have to have all that packaging. One of the things I enjoyed with Fallout: New Vegas was that digital distribution of the DLC made things more flexible in terms of getting the content done. You didn't have to worry about production times for discs, and so you could take an extra week if you needed that to get things right." Then things got a bit grim. "Of course, one of the greatest things about digital distribution is what it does to reduce the used game market," he said. "I hope digital distribution stabs the used game market in the heart." Used sales seem to have replaced piracy as the average developer's boogeyman of choice these days. Though obviously they have little in common from an ethical perspective, the end result is very similar; the publisher is cut out of the sales loop. 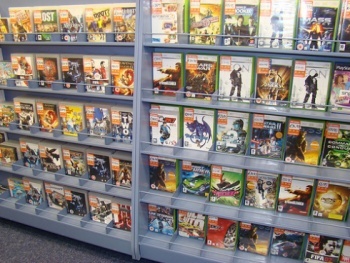 Many publishers are using online passes, which restrict access to multiplayer content for users who buy second hand, but that's seen as a heavy-handed response by some. Digital distribution avoids the issue altogether, with the exception of Green Man Gaming, there is no market for used digital games. According to Avellone, Obsidian is looking into digitally distributing its own games. "Our eventual hope is that we can stockpile enough resources to release our own titles digitally. Smaller games can be very satisfying projects to work on, and it would be great to do that. But it's going to take time for us to get there; we want to make sure we do it right."